Starbucks is closing their online store and has a huge End of Summer Sale on now! 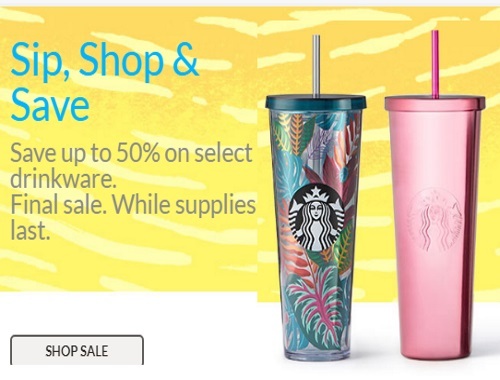 Sip, shop and save p to 50% off select drinkware. All items are final sale, while supplies last.